Silk rugs should probably be considered the royalty of the rug world. Whether your silk rug is an antique or a contemporary, it still represents the ultimate in rug crafting. No fiber, either, can match the incredible luster and feel of silk. And, while silk is one of the toughest of fibers, it is also one of the most delicate. Because silk rugs are made from a natural material, they can be more susceptible to damage by use or even indoor air pollution. 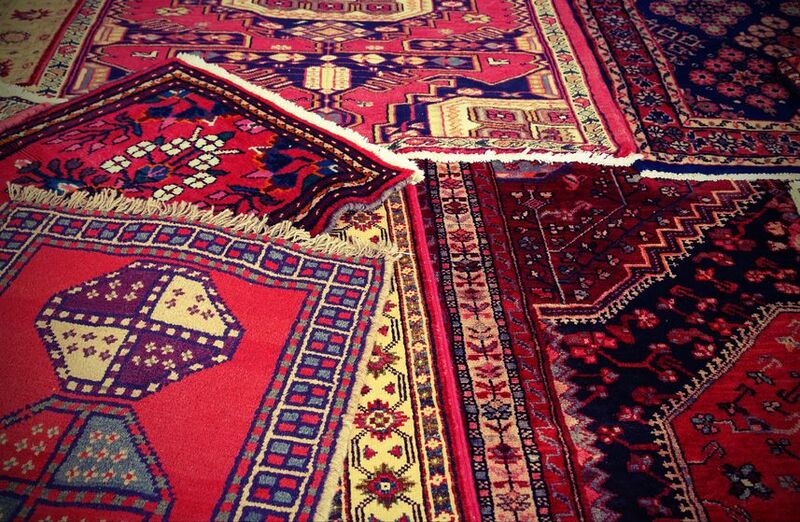 If you’ve noticed that your silk rug has started to look dull and dingy, it may be time to clean it. 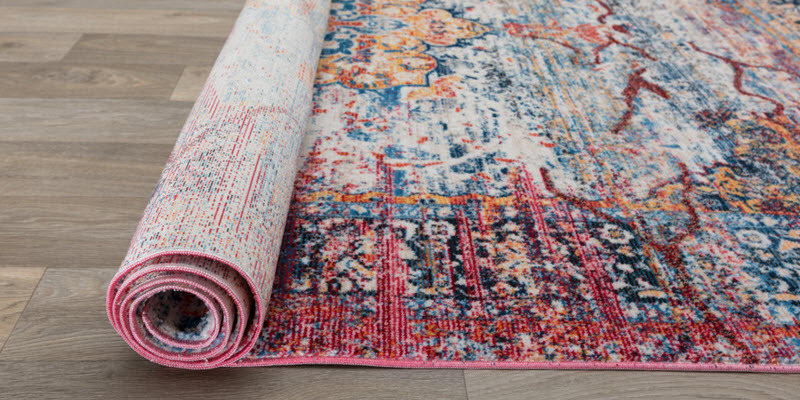 The very last thing you want to do is to damage your silk rug when cleaning it, which is why this is a task best left for professionals like Smart Choice Carpet. 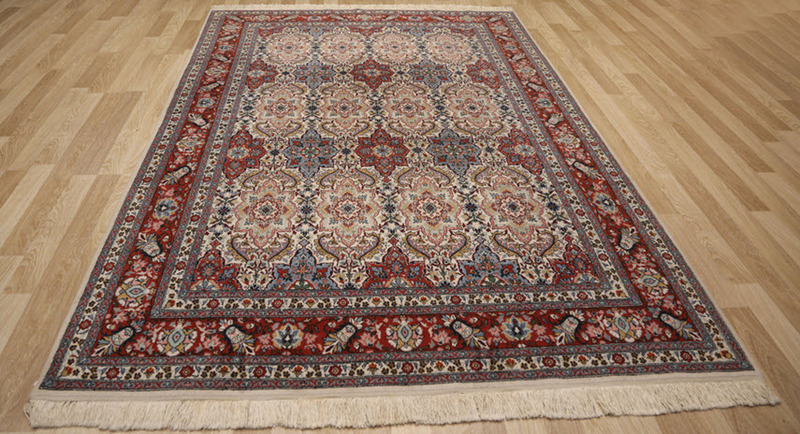 Silk rugs need special treatment when being cleaned, and only those who have the knowledge, skill, and experience to clean these rugs competently should be entrusted with the job. Because of the expense entailed in purchasing a silk rug, attention to the correct way of cleaning it is important. This checklist will give you some idea of what should and should not be done when cleaning silk rugs. Do use a slightly acidic cleaner. Do check to see whether there are other fibers blended into the silk, such as wool or nylon. Do test to make sure that the colors won’t run when the rug is cleaned. Don’t use a stiff brush to try to remove stains – this can permanently damage the silk fibers. Don’t let a wet silk rug sit for a long period of time, this will encourage mold. If you are unable to meet the criteria for successful silk rug cleaning, perhaps it’s better to leave it to professional cleaners. I am extremely satisfied with my clean silk rugs. David and his team reached my home on scheduled time - asked what we required - my husband requested a deep cleaning to my expensive silk rugs - and David clarified what he would do. He was immensely helping, friendly, and amiable, completed an exceptionally great job, and my silk rugs look new. I feel honoured in recommending him to my friends and family at any time for rug cleaning services. Recently had an entire house cleaned after an occupant moved out. Exceptionally content with the service from beginning to end. I needed to reach the office before the arrangement and got a quick, productive and well-disposed reaction. The chap who confessed all to my silk rugs was in all respects well-disposed as well and gave important counseling concerning a little pervasion of moths. I acknowledged his guidance. The entire house smells stunning, and my silk rugs have been resuscitated wonderfully after cleaning. I am exceptionally upbeat to suggest No.1 Silk Rug Cleaning Company lead by David. The folks from the Smart Choice Carpet worked admirably and did an astounding job. I had two of my silk rugs cleaned today by David and team. I am delighted with their work as the mats look like new regardless of being almost five years of age. The folks that came were very disciplined and did not desert any chaos. Astounding service all the way. The customer service representative, Jenny remained in contact concerning the arrangement of my silk rug look immaculate. I will utilize this organization again when I'm prepared to get my other silk floor coverings cleaned. My Ruined Silk Rug Completely Restored! We had a flood in our apt and our old silk rug got ruined, it had a color run all over it and i wasn't sure if its cleanable. I called the company and they sent a technician at the same day, He was nice and professional and picket up the rug at the same day. The rug was cleaned and repaired, they did color restoration and it looks brand new!! They did an amazing work on it!!! I'm very satisfied! !